The 9th annual Java Jazz Festival arrived in Jakarta this past weekend, a three-day international brass binge that organizers say drew more than 100,000 visitors. While Joss Stone, Basia, Craig David and a past-her-prime Lisa Stansfield headlined the music holiday, many lesser-known artists kept concertgoers entertained with a variety of international and Indonesian performances both large and intimate. Some acts, like New Orleans-based The Soul Rebels, stayed true to jazz’s soulful roots, while others fused the genre with traditional Indonesian influences and/or contemporary pop elements. 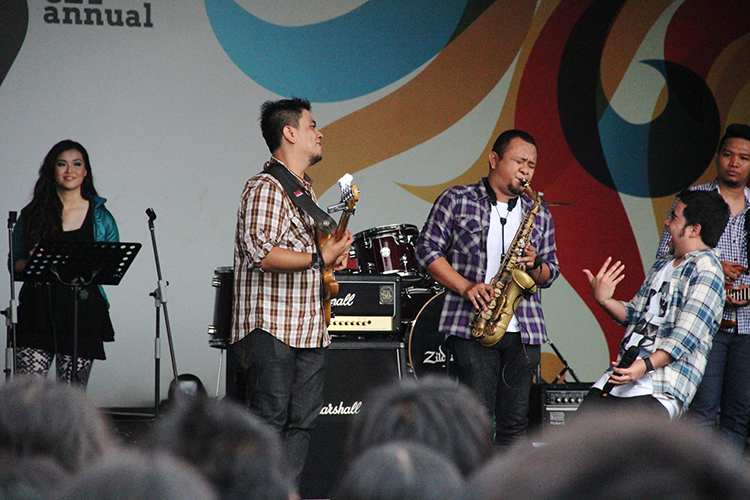 Abdul, far right, of Jakarta-based Abdul and The Coffee Theory, encourages a saxophonist to continue his solo act at the closing of an outdoors show Sunday afternoon. 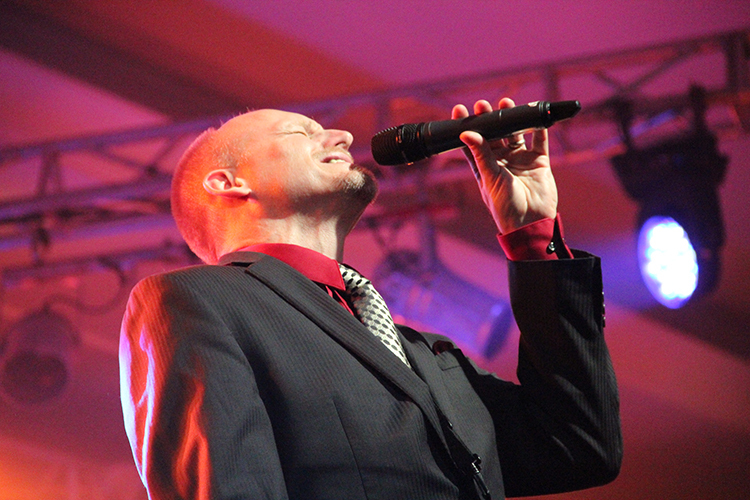 Darmon Meader of the Grammy-winning New York Voices holds a note during a late-night Saturday showing at Java Jazz Festival. 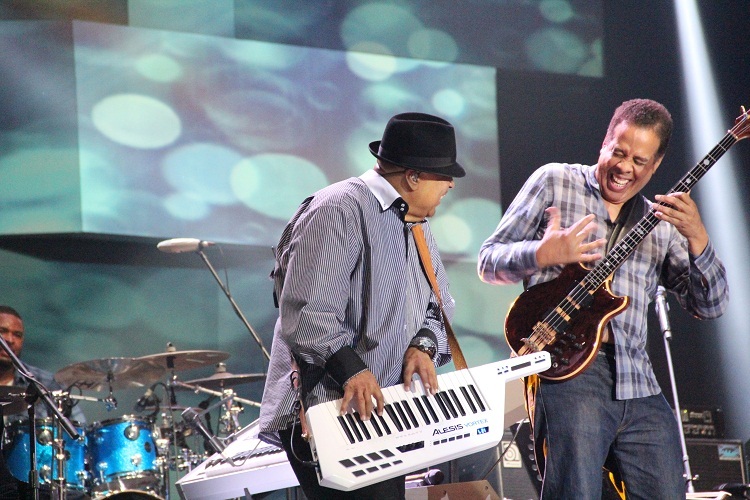 American jazz legends George Duke, center, and Stanley Clarke enjoy a moment on stage Saturday afternoon at the festival.